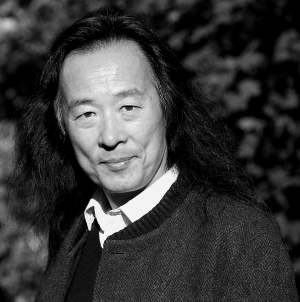 Yang Lian’s poems exude male sexuality cloaked in the ambiguity of metaphor and suggestion, while plumbing the enigma of human existence, history, life and death, and his own existence. At the same time, the creative process and the timeless importance of poetry and poets are central to his poetic concerns. His cycle of poems named Norlang, after a Tibetan god, was criticized in 1983, and he was banned from publishing for over a year. 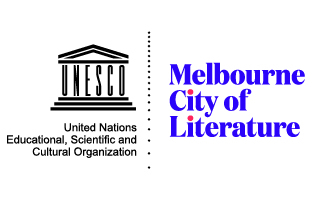 In 1988 he travelled to Australia where he took part in literary festivals in Melbourne and Sydney, and presented readings at various venues, before proceeding to New Zealand to take up a writer’s residency at Auckland University in early 1989. He successfully applied for New Zealand citizenship after the military crackdown in Tiananmen Square, Beijing, in June of that year. Equating poetry to life, he obtained writer’s residencies in the USA, Germany, and Australia, before settling in London where he established his credentials as an international poet. He has won many significant awards, including the Flaiano Poetry Prize in 1999, and the Nonino Literary Prize in 2012. The first of his English-language collections were published in Australia in 1990: Masks & Crocodile and The Dead in Exile, and today his poetry has been published in over thirty languages. During March 2014 he was a popular guest at the Adelaide Writers’ Festival, and afterwards he gave an unforgettable presentation at the Seymour Centre at the University of Sydney. A selection of his recent poems translated by Naikan Tao and Tony Prince are included in Mabel Lee ed., Hong Ying, Zhai Yongming and Yang Lian (2014) in their Asia Pacific Poetry Series published by Vagabond Press in Sydney. The two poems here are from Yang Lian’s Questions of the Taotie 饕餮之问 (Nanjing: Jiangsu Literary Publishing house, 2014). The ‘taotie 饕餮’ is a mythical animal depicted on bronze ritual vessels of the Shang and Zhou dynasties. Ancient historical records refer to the ‘taotie’ motif as ‘the gluttonous ogre mask’ because of the fierce stare of the eyes. In recent decades some archaeologists have argued that the motif can be found in Neolithic sites such as those of the Liangzhu culture, 3310–2250 BCE. This entry was posted in TRANSLATIONS and tagged Mabel Lee, Yang Lian. Bookmark the permalink. Mabel Lee PhD FAHA is Adjunct Professor of Chinese Studies at the University of Sydney where she was a member of the academic staff, 1966–2000. Her ongoing research concerns Chinese intellectual history and literature of the modern era, and her publications focus mainly on the three writers Lu Xun (1881–1936), Gao Xingjian (b. 1940) and Yang Lian (b. 1956). She is also translator of Noel Laureate Gao Xingjian’s novels Soul Mountain, One Man’s Bible, his short-story collection Buying a Fishing Rod for My Grandfather and two books of nonfiction The Case for Literature and The Aesthetics of Creation. She has also translated three books of poetry by Yang Lian; Masks & Crocodile, The Dead in Exile and Yi).